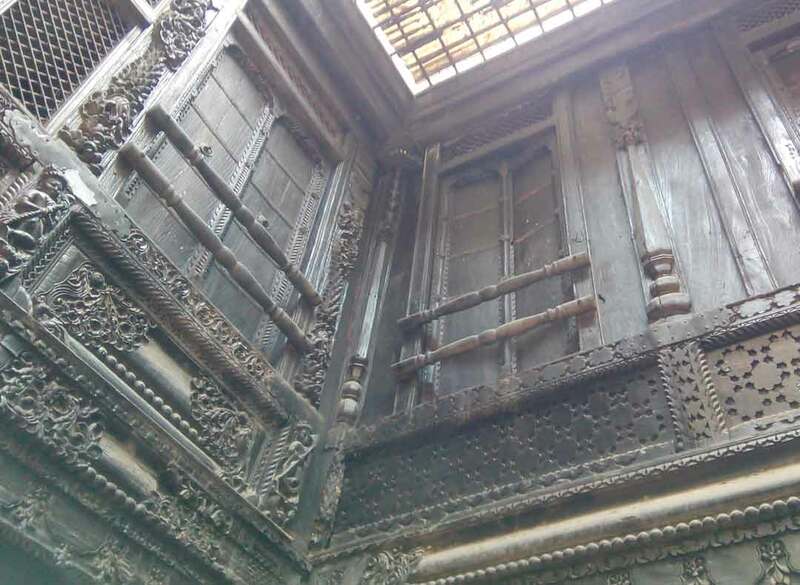 100 years old Ashok Bhatt`s Haveli belongs to the Kameshwar pol which has been declared as a heritage property by Ahmedabad Municipal Corporation. 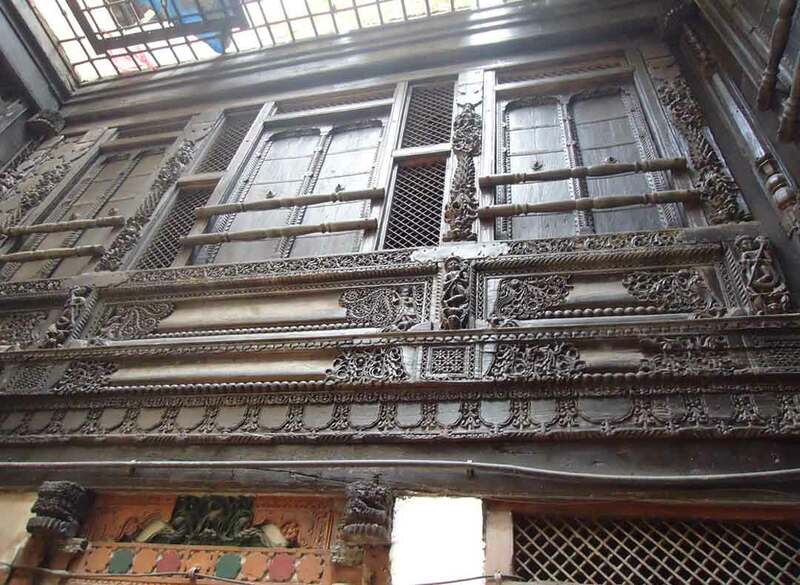 This Haveli is a part of places get covered in the Heritage walk of Ahmedabad. 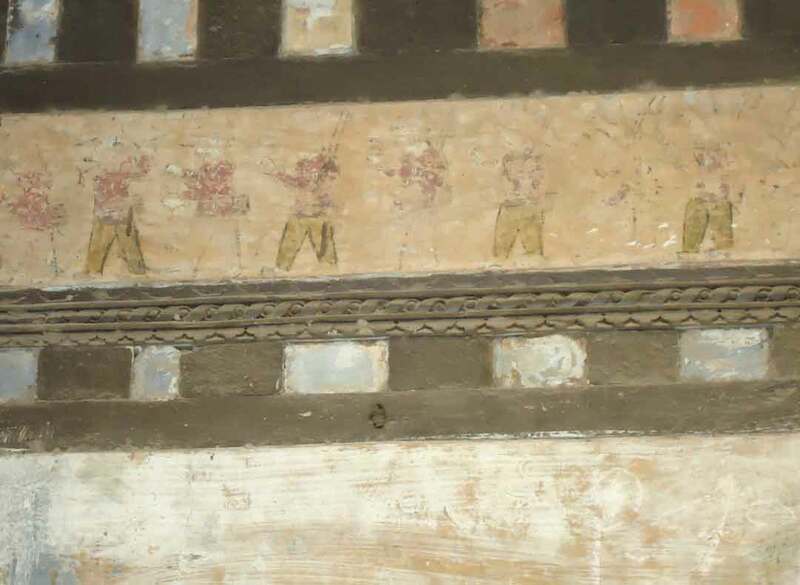 There is an otta (otla) outside the haveli at main gate and one can find soldier images on the wall. 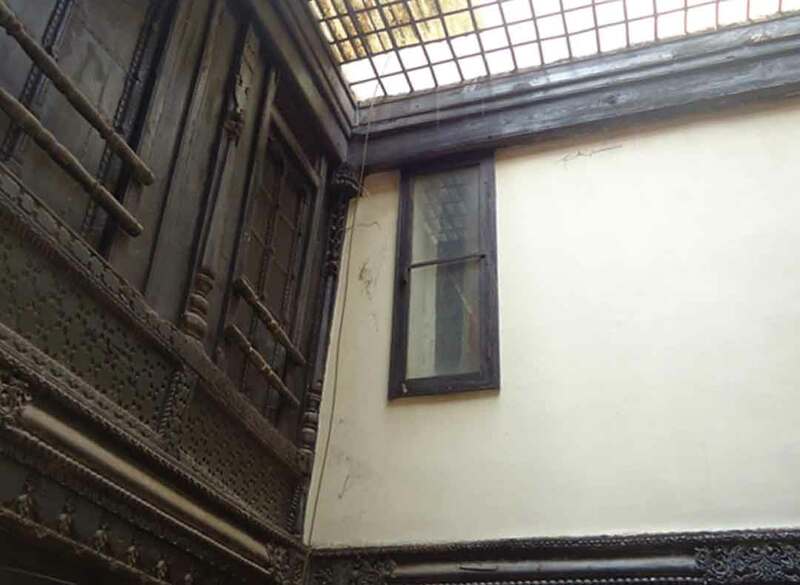 As there was a shortage of drinking water, big water tanks were made in the house to preserve rain water, so that the preserved water can be used in the time of need. There is a central hall(orada) where you can find Paniyara (Matka Stand). There is a beautiful engraving on the wooden frames on Paniyara.